The project builds on the open classes Picbod (Picturing the Body) and Phonar (Photography and Narrative) which first ran openly in 2009 after Jonathan Worth’s freemium business model trials with Cory Doctorow. Our interpretation of open is that there is a [in this case digital] version of the “thing” freely accessible (free as in both beer and speech), so all our learning materials are licensed CC-BY and exist in environments already populated openly. In order to ensure this we constantly ask ourselves will this (insert environment/language/task) constitute a barrier to entry? Be that financial,technological,geographic,cultural or other – if so then we re-think. Since 2009 the classes have been variously remixed and re-written. The last ten week iteration of phonar had over seventy people with editing rights on the schedule representing over 45 different Universities and the last iteration of Picbod was adopted, adapted and run independently by Matt Johnston applying his successes at turning [online] numbers into names and actions (with the photobookclub.org). The last iteration of Phonar had over 35,000 people come to the WordPress version of the class from 139 countries, we haven’t had resources to accurately record the Flickr, Soundcloud, Youtube, Google+ and Twitter environments though the classes thrive there also. Following Phonar2012 the students demanded their next class be run open and along the same lines – which Coventry University assented to – our proviso being that they (the students) designed it. Phonar2012 graduated with the highest percentage of First Class Honours in the history of the course. This project moves beyond the two ten week open classes (first open undergraduate photography class 2009, first undergraduate class in an app 2009) to the world’s first open undergraduate Bachelor of Arts degree course (scheduled for Oct 2014) and post graduate Masters course (launching Sept 2013). We have proven to our institution that by opening up our photography classes we create a network of connected visual storytellers who serve to enrich the experience of the paying and attending student (leading to our course becoming the most over subscribed in the University). This virtuous circle of the distributed class has enabled engagement by individuals and communities barred from traditional closed learning either by geographical, financial or cultural barrier, whilst simultaneously offering an expanded network of resource and collaboration to the attendee. As far as we can see – everyone wins. In concert with the classes we are building a back channel (Phonar-Ed) for instructors to come together, share experiences and highlight examples of best (open) visual story-telling practice. 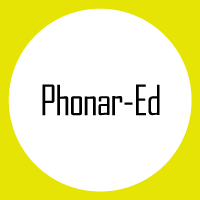 With #PhonarEd we are setting out to address the challenges experienced by academics/instructors who are as yet unfamiliar with the remix culture that Creative Commons licenses (for example) grant access to (our most FAQ’s are is it okay and how do I use/adapt/adopt this?). We have found that to be passively open is not enough, with #PhonarEd we seek to continue our policy of active openness. As such our first step in this evolution of the project is to syndicate #phonar2013 and #PhonarEd with World Photo Org to it’s 68,000 photographers and 250 universities. 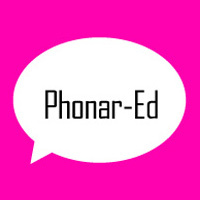 Hopefully PhonarEd means syndication turns to collaboration on a grand scale and we can move beyond photo education to digital and visual literacy, and then Applied Learning – in terms of [visual] journalism this will be game changing, it is Education as Agent for Change.